We all want to hit the driver further and getting your golf ball tee height correct can help hugely. Many golfers tee the golf ball at the wrong height with driver and it robs them the chance to hit their best drives. Most of us are aware that we want to strike the ball with the clubhead traveling upwards and striking the ball in the best part of the clubface. 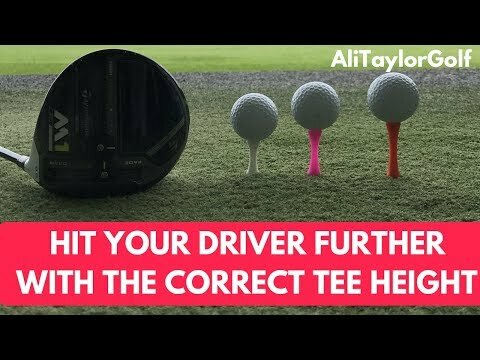 The correct tee height can give you the best chance of achieving this. Previous Previous post: Left Handed Golf Swing! Tips!? !